CUSTOM RIKE GEAR DESIGN: Made by extreme athletes for extreme athletes: For all sports, casual ware and style. We tested the Rike headband in extreme conditions, from -5 degrees to 100+ degrees. Perfect for jogging, fishing, motorcycle rides for any climate, hot yoga sessions, downhill or cross country skiing as well as snowboarding just to name a few. 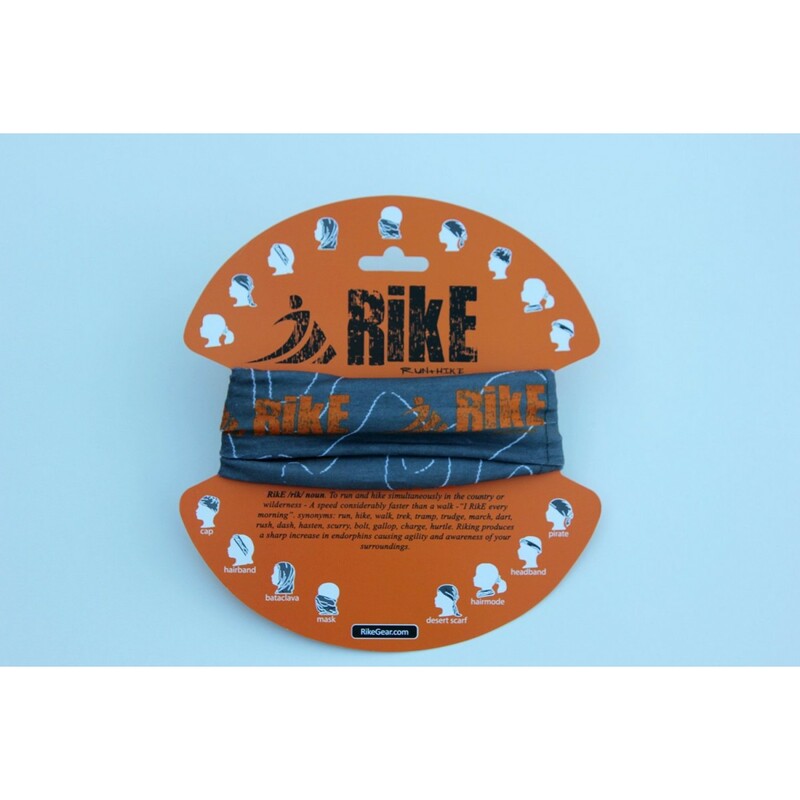 The Rike bandana is a high-performance, highly versatile headband you can wear in all walks of life. STRETCHABLE MOISTURE WICKING TECHNOLOGY: Rike headbands are made from 100% seamless microfiber polyester that creates unmatched comfort. The breathable material wicks away moisture keeping you dry. The custom stretch design adjusts to all body shapes and sizes allowing a perfect fit every time you use it. SAVE CASH WITH THE MULTI USE HEADBAND: With multiple uses the Rike bandana is perfect for any season, social occasion or daily life. It is as creative as you want it to be. Use it in the winter as a neck gaiter, face mask, helmet liner or beanie. Great in the summer as a balaclava, sun protector, headband that wicks away moisture keeping you dry and cool. MEASURES: 9.5 WIDE x 20 LONG: Protects against the elements like snow, wind and sun. A high-performance, versatile headband. 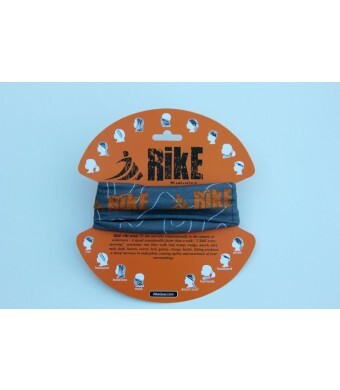 Whether you are an extreme athlete or a mall walker, the Rike bandana will serve your every need. Our customer service provides 100% satisfaction guarantee. PERFECT CHRISTMAS HOLIDAY GIFT: Special reduced price on the Rike bandana makes the perfect stocking stuffer or gift for every member of the family, co-workers and friends. Save time, space and money with the multi use bandana that is perfect for your family and friends. 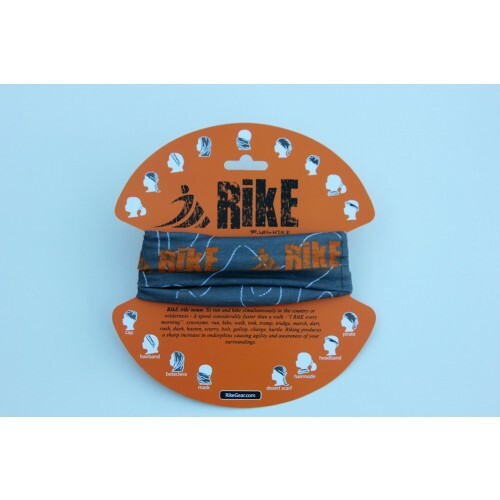 The Rike Gear bandana is a seamless, all purpose, durable bandana for men, women and children. Made from 100% polyester microfiber. This stretchable, breathable bandana is moisture wicking to keep you dry for any event. One size fits most. The multi use bandana can be worn as a cap, hairband, balaclava, mask, helmet liner, headband, desert scarf, face mask, wind protector, neck gaiter, tube top and many more uses.